For our Christmas evening on December 11th, we were delighted to welcome Andrew Gant, the leading musician, singer, composer, academic and author to talk about his books, called Christmas carols – from Village Green to Church Choir – and also, just published, O Sing Unto the Lord, which traces the history of church music from Anglo Saxon times.. 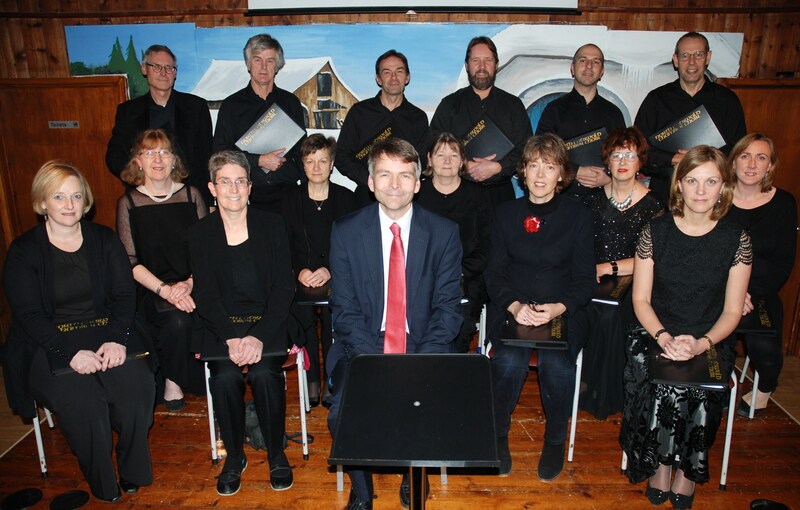 Helping him illustrate his talk were fifteen singers from the wonderful North Cotswold Chamber Choir, who sang several pieces. Andrew pointed out that not all carols were created initially for Christmas. For instance, he told how the composer, Ralph Vaughan Williams, once heard a song about a dead cow and a delinquent ploughboy whilst sitting in a pub in Forest Green, in Surrey – sung to him by an old man, called Mr Garman. A few years later, Vaughan Williams made use of the tune when he was appointed Music Editor of the English Hymnal and wanted to include a poem by an American bishop, called Phillips Brooks. However, he did not like the tune that Brooks’s own church organist had written for his text back in Philadelphia - and so Vaughan Williams took Mr Garman’s folk song and the result was O Little Town of Bethlehem. He added that O Little Town of Bethlehem and Away in a Manger are both sung today to different tunes on either side of the Atlantic. Indeed, many of our best-known carol texts have had many musical partners over the years. Different tunes sometimes represent differences between one denomination and another, or indeed, from one village to the next. Sometimes a carol would be sung to one tune in church - and to an entirely different one in the pub afterwards. 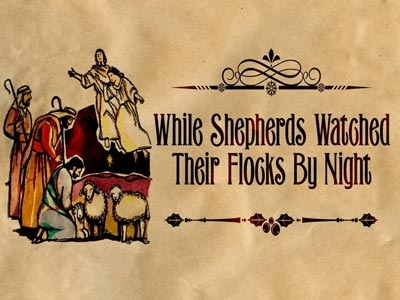 Indeed, While Shepherds Watched has been sung to a vast range of tunes, including Old Foster, Tom’s Boy, Old Beer, Morchard Bishop, Sweet Chiming Bells, Cambridge New and Fern Bank. Others include Cranbrook – better known as On Ilkla Moor Baht ’at – and others are deeply mysterious and profoundly moving, such as the elegiac Shropshire Funeral Hymn. Often, Andrew added, tunes turn up in different parts of the country in slightly different versions. The composer John Stainer once heard God Rest You Merry, Gentlemen sung on the streets of London by some tattered street-urchins. A little later, the folklorist, Cecil Sharp, collected the same tune in Cambridge – however, Stainer’s tune has a different first note from Sharp’s. Presumably, Andrew said, somebody had once travelled 50 miles singing carols and got that section wrong, or mis-remembered it, or changed it – and that’s how an oral tradition works and there is no “correct” version. 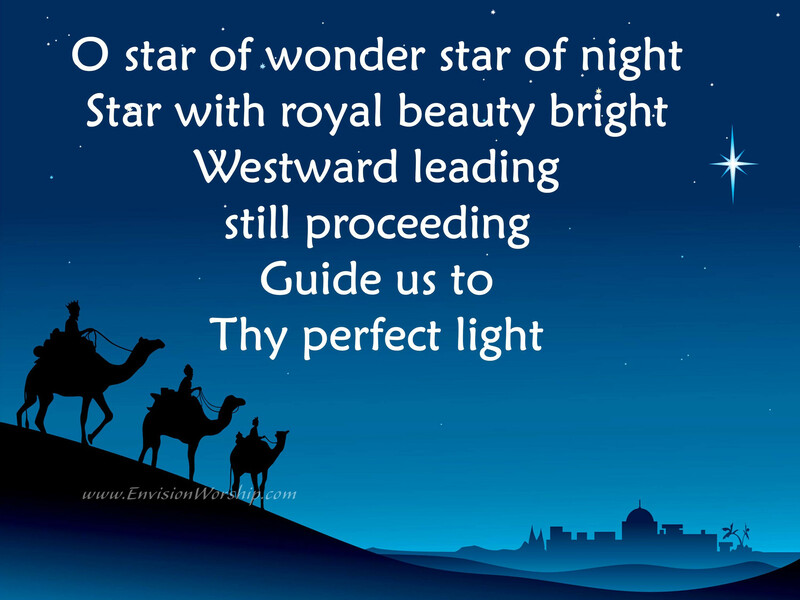 Even today, he added, hymn books and carol collections don’t agree on the precise words of Away in a Manger or the precise rhythm of Angels From the Realms of Glory. This ability to absorb influences cam produce memorable, and often rather odd, results. Andrew asked us why are there three ships in the carol and yet only two passengers? For most of the 18th century, only one carol was permitted in worship - Tate and Brady’s While Shepherds Watched. Hymns such as O Come, All Ye Faithful (Adeste Fideles) weren’t granted access until the first half of the 19th century and even then, the idea of singing secular tunes, such as “wassail” songs, cheek-by-jowl with holy writ would have been deeply shocking. In fact, in the 1940s, a Benedictine scholar suggested that O Come, All Ye Faithful was actually a coded call to arms for the 1745 rebellion of Bonnie Prince Charlie - “Fideles” are Catholic revolutionaries; “Bethlehem” is the true church in captivity; and “Natum videte, regem angelorum” is a pun - Christ was born king of the angels, but the Young Pretender was born king of the English. All of which is so subtle, suggested Andrew, that it is no wonder that the stolid Hanoverians, by now ensconced in place of the flighty Stuarts, never spotted the double entendres. “Adeste Fideles” was absorbed smoothly into the Georgian repertoire and the Catholic call to arms became a Protestant tub-thumper. 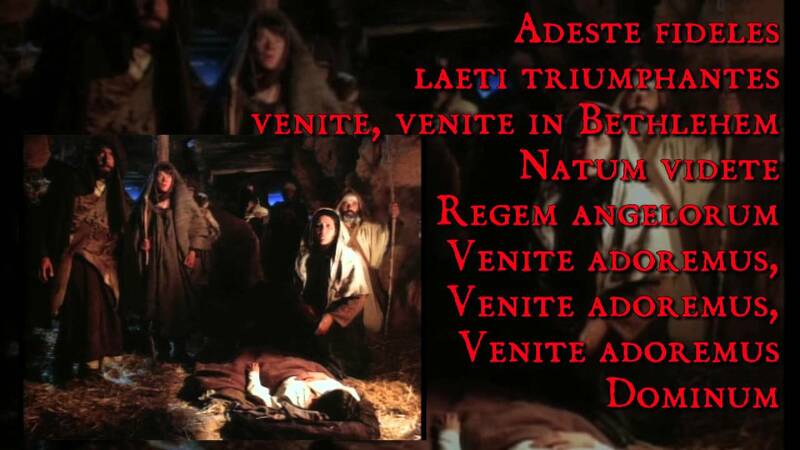 Give or take the fact that it might be written in code, “O Come All Ye Faithful” is easy to follow. Ultimately, Andrew pointed out the truth that not many of this apparently English tradition of carols are actually English. Ding Dong Merrily on High began life in a French Renaissance dancing manual, whilst the tune of Good King Wenceslas was first published in Finland (to completely different words, and mostly about priests and virgins). And what about Jingle Bells? That one is American, too, added Andrew - composed by a man who ran away to sea in a whaling ship, aged 14, lost everything in the gold rush of 1849 and was the uncle of the founder of the J P Morgan banking house. A “carol” used to be just a party song about love, keeping warm or having a good time, Andrew told us. Shakespeare uses the word that way - and Jingle Bells can surely claim its place in that tradition. Over 120 people attended Andrew’s compelling talk, with the audience utterly appreciative of his insights, plus the beautiful singing of the choir. 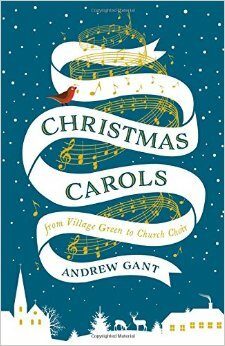 Andrew sold and signed 30 copies of his book on the history of carols, as well as seven of his history of church music. Ann Day’s sumptuous Christmas cake also disappeared rapidly, with no crumb left.